According to aromatherapy it helps for creating harmony. Even in antiquity this aromatic resin has spread its fragrance in the temples. It is believed that it has the power to protect from evil and to chase the malicious spirits away. 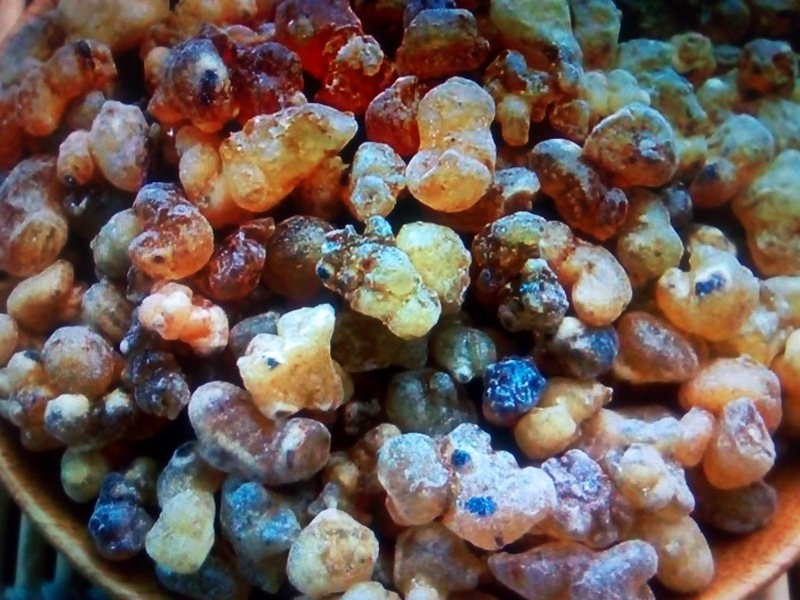 Frankincense, also known as olibanum, is the resin from the trees of the genus Boswellia. It has been traded on the Arabian Peninsula and in North Africa for more than 5000 years. There are a lot of frankincense varieties, which differ in colour, shape, aroma and age. It is known that frankincense has antibacterial properties and that's the reason why it is widely used in traditional medicine.